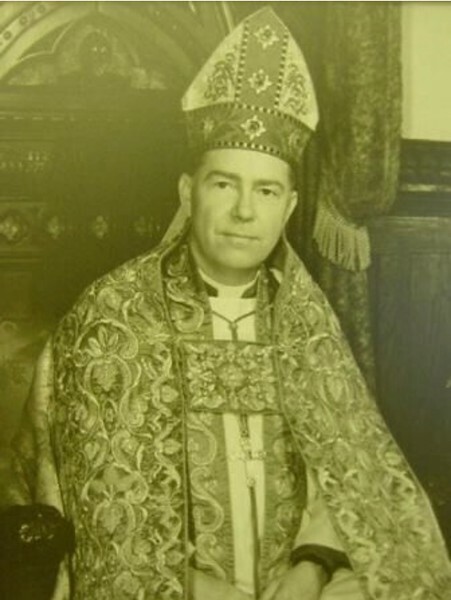 Bishop Chambers graduated from the General Seminary and served churches in the Diocese of Fond du Lac and Rochester, and was elected Rector in 1949 to succeed Father Wadhams. He had an extremely successful time here, and spearheaded the heroic drive to acquire Dr Lempert's Hospital when he died and it came up for sale. His vision and capable stewardship led to us starting our first school (now Episcopal Academy, a secular institution) and gave us room for offices, a new kitchen, a rectory and curate's apartment, and space to start our current school in 1990. He was elected Bishop of Springfield Illinois in 1972 and had a memorable and distinguished ten year reign. He lived on as an elder statesman of Anglo-Catholicism in this country until 1993.